The £35m West End Project will begin in early March. Set to be the largest transformational scheme in the London Borough of Camden, the project will change not just how people travel in the Tottenham Court Road area, but how it looks and feels. Issues which have affected the area for some time, will be addressed, including poor air quality, traffic congestion, and a lack of public open space. “2018 will be one of the most important years in the history of Tottenham Court Road and Gower Street. I am very excited that the fruits of many years’ preparation will soon be seen. “This part of the West End deserves the ambition that Camden and Transport for London are showing for it. With the opening of the new Crossrail station, the West End Project will create new public spaces for residents, local workers and visitors, making the area safer, greener and good for business. The first of the improvement works include: new granite paving being laid on New Oxford Street by Centre Point; removal of pedestrian barriers and traffic light poles from Tottenham Court Road; historic Grade II listed lamp posts – the very first electric street lighting anywhere in London – being carefully removed from Tottenham Court Road for restoration; and trial holes being dug across the project area to understand the road structure. 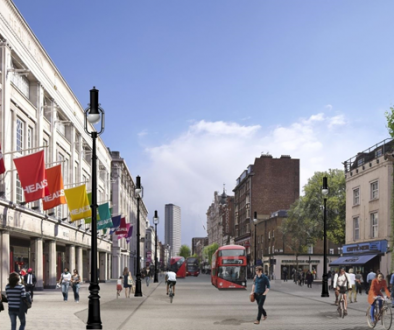 These works will prepare the way for major transformations in the area as Tottenham Court Road and Gower Street become two way to traffic, improving journey times, reducing congestion and making bus journeys less confusing. All busses will be moved to Tottenham Court Road, which will be restricted to buses and cyclists only between 8am and 7pm Monday to Saturday. Over 8,000 letters have been delivered to residents and businesses across the area to share news on the upcoming works. All local residents, businesses and stakeholders will be able to access regular, up to date information on the project’s progress via the project’s webpages, where there is also an opportunity to sign up to receive a regular electronic newsletter. 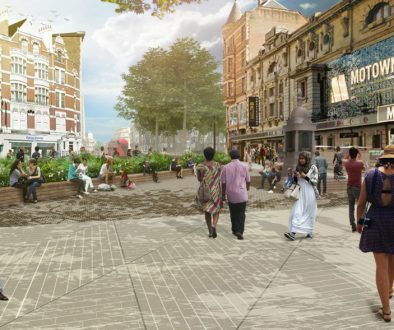 Ben Plowden, Director of Project and Programme Sponsorship, at TfL said: “We are working closer than ever before with the London boroughs to ensure London remains a world-class city with more attractive, accessible and people-friendly streets. 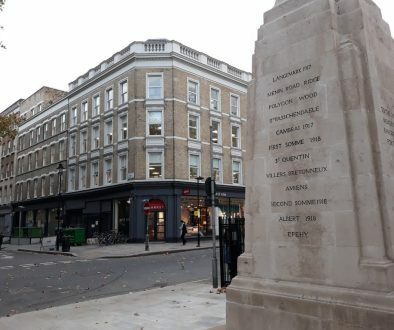 The project was approved in 2015 and Camden Council has been working in partnership with Transport for London, Crossrail: The Elizabeth Line Project, City of Westminster Council, BeeMidtown, The Fitzrovia Partnership and London First. We received over 1,000 responses to the original consultation from residents, businesses and local interest groups which has helped to shape the project. We continue to work closely with local resident associations, businesses and special interest groups to ensure the project delivers the transformation that the area and its community deserves.